Ahhhhhh was my reaction to my first Thai Yoga Massage at Essentials many years ago. I wasn’t sure what to expect as I stretched out on the floor on what felt like a large yoga mat. What followed was a wonderful combination of yoga postures enhanced and supported by specific massage techniques. As my legs fell to one side in a gentle spinal twist, the massage practitioner used gentle Thai massage techniques to open the front of my shoulders and the tight muscles down the sides of my legs. As I rested back in Child’s Pose, gentle pressure along specific points on my spine encouraged a wonderful release of muscles along my entire spine. My favourite part was resting in savasana or relaxation pose enjoying a gentle foot massage. I had never felt such a sense of profound relaxation. Fast forward a few years to 2013 where I was attending a full day Workshop at the Toronto Yoga Show on Thai Yoga Bliss. In this Workshop Thai Yoga Practitioners and Yoga Therapists worked side by side as they moved through a class of 40 participants guiding us through therapeutic Yoga Postures assisted by Thai Massage Techniques. Again, at the end of the session, I had that same sense of profound relaxation. As I was driving home from Toronto I made a mental note to call Terri Ann Phippen as soon as I got home to ask her if she would like to work with me to bring this session to a small group of participants in our Community. Thankfully, in the meantime, Shannon Landry had also become certified as a Thai Massage Practitioner as 3 partners were needed to bring this Workshop to fruition. So, after many meetings and consultations, Terri Ann, myself and Shannon are pleased to bring you our first Thai Yoga Bliss Workshop next Thursday at Balanced Motion. We had a brave group of 6 volunteers go through the 2-hour Workshop with us a few weeks ago so that we could ensure our timing and techniques were right on. The group thoroughly enjoyed their experience and provided us with invaluable feedback! Our hope, after next week’s Workshop, is to offer this experience 2-3 times a year. So, stay tuned for a synopsis of our First Workshop and dates for future Thai Yoga Bliss Experiences! In a blender, combine the first eight ingredients with enough coconut milk to moisten. Heat oil in a saucepan and gently stir-fry satay mixture until it turns a pale pinky brown. Add remaining coconut milk, stirring briskly, then reduce heat to low. Add peanuts and stir well to separate. Then add agave syrup and tamarind juice and a pinch of salt. If the sauce is too thick, add extra coconut milk. If it’s too thin, simmer very gently to reduce- coconut milk and peanuts burn easily. In our ‘neck of the woods’, this winter is dishing out some extreme cold. This morning we woke to -32 Celcius. What? More alarmingly that isn’t the coldest morning we’ve had this winter. Many things have to work harder in this temperature: the furnace, the car engine, the water heater, the fascia. Yep, you did read that correctly…the fascia and muscles of the body have to work harder to not cramp up in the cold. We might feel the tightening of fascia as aches and pains particularly around joints. Ever experience that ache around your hips or a pain in base of the neck on really cold days? There is a reason so many people find they can stretch really well during Hot (Bikram) Yoga: the body’s stretch response is enhanced in warm temperatures. In the studio I find people have a lot more neck tension during the winter than at other times. Makes sense when you consider that one of our first responses to a blast of cold air is to hike up the shoulders and hide the neck (imagine a turtle pulling head into shell here). If you find yourself in that situation, I thought I might share a few simple practices that might help you relieve your neck tension this (very chilly) winter. 1. Dress for the temperature. Fascia likes to be warm so layer your clothing preferably in insulating fabrics (such as technical fabrics like polypropylene that have insulating and wicking properties) with a warm outer layer that stops the wind also. If you like natural fibres consider wool, goose down and fur for their time-proven insulating properties. Even faux fur provides decent warmth. Avoid cooling fabrics such as cotton, linen or bamboo. 2. Wear a scarf. It is amazing how much difference it makes to keep your neck and shoulders wrapped up in these temperatures. You might even consider covering your face to expose the minimum of skin. 3. Wear a hat!! It isn’t news that 30% of your body temperature is lost through your (exposed) head. 4. Stay hydrated. Fascia does not like to be dry, so drink lots of non-caffeinated fluids. With the cold temperatures, most of us live in a low humidity environment making it all the harder to stay properly hydrated. Your fascia will reward you if you make the effort! 5. Stay strong in your core, even when you are chilled. Posturally, this means staying tall in your spine, with your shoulder blades melting down your back. Lightly engage your deep abdominals and widen your collar bones. All of these habits help you keep the shoulders away from ears, strengthen aligned posture and help you balance on slippery surfaces. 6. Stretch your neck and shoulders regularly, especially if you have been shrugged against the cold. Remember fascia likes to be warm, so stretching during a hot shower or after a tub is ideal. See below for some stretches to try. For each of these stretches, sit or stand with your spine tall, collar bones wide and shoulder blades heavy. Combine ingredients. Store in a covered container in a cool cupboard. Makes about 2/3 cup. The Marrakesh Spice Mix is put on the meat beforehand and included in the glaze brushed on at the end of cooking time. 1. Heat oil in a small saucepan set over medium heat. Add onion and cook, stirring occasionally, for 5-7 minutes until soft, but not brown. 2. Stir in garlic and spice mix and cook for a couple of minutes, then add vinegar, tomato, pepper flakes (if using) and 1 tbsp of lemon juice. 3. Blend in apricot jam, lower heat, and stir while jam melts. Cook gently for a minute or two to blend flavours. Taste and adjust flavor with additional lemon juice if you like. Tip: The glaze can be made ahead and stored in a covered container in the refrigerator for several weeks. 1. Rub chicken pieces on all sides with oil, spice mix, and salt and pepper. Place in a covered container or plastic bag and close securely. Set in the refrigerator for several hours or overnight. 2. About an hour before serving time, remove chicken from refrigerator and preheat BBQ to medium. 3. Place chicken pieces bone side down on a clean grill. Cook with the lid closed over direct heat for 3-4 mins. Turn and grill the other side with the lid closed for 3-4 minutes more. 4. Turn chicken again, reduce the heat to medium-low, and cook over indirect heat with the lid closed for about 15 mins. 5. Set aside about 1/3 cup of the warm Spicy Apricot Glaze to serve as a dipping sauce. Brush the chicken with some of the remaining glaze and cook with the lid closed for 5 minutes more. 6. Turn Chicken, brush other side with glaze and continue cooking with lid closed for 4-5 mins more. Remove the chicken pieces from the grill as they are done. 7. Place lemon slices on the grill over direct heat when you start glazing the chicken. When one side is nicely marked (about 4-5 mins) turn lemons and grill other side. 8. Arrange chicken pieces on a large warm platter. Garnish with grilled lemon slices and sprinkle with chopped coriander. Serve the remaining warm and Spicy Apricot Glaze alongside for dipping. Serves 8. Friday Education: Looking for a Healthy Snack? Okay so it’s January 17th the New Year’s resolutions are well under way…and most likely after all the food and good cheer over the holidays most of us include eating healthier as one of these resolutions. Soooo what about late at night when I am craving something sweet? Am I just supposed to not eat?? So do I try eating carrot sticks and celery until the craving comes back again?? Do I stare endlessly into the fridge abyss fighting the urge to grab something totally bad?? The madness! Ohh the madness!……Relax. There is a healthy yummy option that could satisfy your sweet and salty tooth all at the same time! What’s this magical snack sent from the heavens you ask? POPCORN! Yes! How could we forget about our good friend popcorn? This craving satisfying snack can be healthy if you make it yourself. (yes unfortunately that microwave popcorn that’s so easy to make…not so good for you.) There are many ways you can fancy up popcorn to make it a little more exciting to eat. 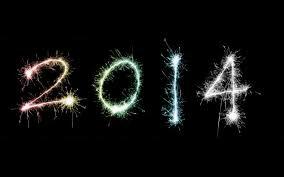 Welcome to 2014!! Say Whaaaaat?! One of the topics Sherry will be covering in the Beginner Pilates Workshop is Posture. Such a very important part to our overall health and yet it seems to fly under the radar in day to day life (even Pilates instructors need a reminder every now and then!). Take a look at this great article from Body Harmonics that gives us the top 10 reasons Pilates is good for Posture!